Ecuador is one of the smallest countries in South America. It packs in an amazing amount of diverse nature and culture into a nation only about the size of Great Britain or Colorado State. 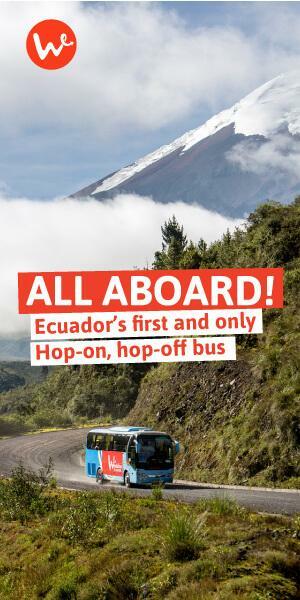 This means that getting around Ecuador by public bus is much easier than other South American countries (where you can spend 30 hours on a bus), and you don’t need to spend a fortune on domestic flights. 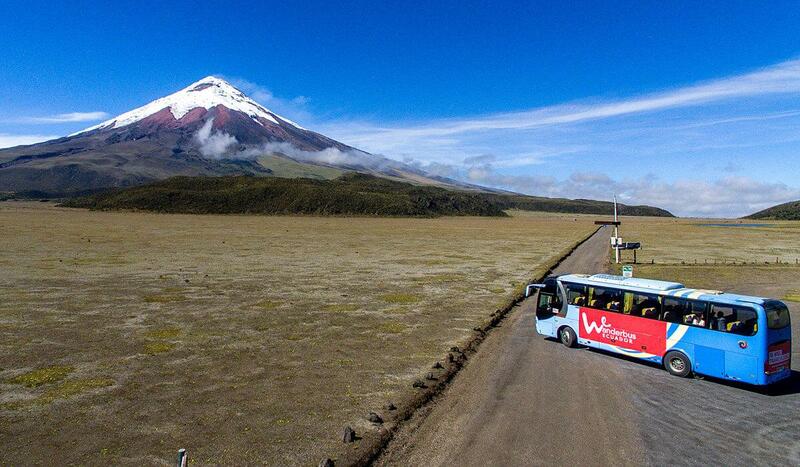 Getting around Ecuador by bus is extremely affordable, but there are obviously some safety, flexibility and connectivity concerns and challenges. Public buses are common and cheap, connecting the main cities and towns. But they do not offer easy ways to book online or provide much information for you to plan your trip easily. They also don’t have the best records when it comes to petty theft (foreigners are an unfortunate target) or road accidents. When considering visiting Ecuador’s most amazing destinations from a traveller’s perspective, public buses have severe limitations. At the top of many people’s list of things to see are the Cotopaxi Volcano and the Quilotoa crater lake. Neither of these are easy to reach by public transport. In the case of Quitolotoa, you will need to take about 5 buses and take at least 5 hours to get from your hostel in Quito to finally reach the actual lake (and that’s on a good day!). Pretty stressful, right? And this is only one short section of the route, imagine trying to cross the whole country by public transport, or reaching off-the-beaten-track locations like Ozogoche or El Cajas National Park. In reality, public transport is often a false economy: what you save on the cost of the ticket, you’ll spend on extra taxis, spending the night at hostels mid-route and extra guides. Did we mention that Wanderbus passes include a local, bilingual guide at all times along the route? There are dozens of very good operators in Ecuador offering all sorts of tours for every taste and every wallet. You’ll find the majority in Quito, but many others in popular traveller destinations like Otavalo, Mindo, Baños, or Cuenca. They are particularly useful when you’re looking to do some adventurous activities from these ‘spring-board’ towns, like rafting, mountain biking, horse-back riding, trekking or mountain climbing. You should always check on the operators’ credentials and online reputation before parting with your hard-earned cash or putting your safety in their hands! 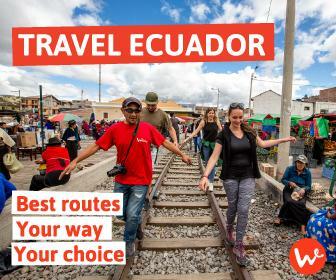 In terms of actually getting around and exploring Ecuador, although some companies cover the same routes as the Wanderbus, they will always try to group travellers together on set departures in order to keep their costs down. It’s often hard to find a tour with departure dates that fit with your exact itinerary. Also, many tour operators offering tours from Quito return to Quito, which isn’t great if you want to explore further. You’ll end up doing day tours to Cotopaxi National Park, and another day tour to Quilotoa and another to Baños, etc. Prices for these kinds of tours are around US$45 per day, per person. If returning to Quito every day works for you, great. If you want to ‘join up the dots’ of several destinations in Ecuador, and work in a tour to the Amazon or a day’s white-water rafting, for example, it gets increasingly difficult to find economical options that are part of a group departure. Instead of the tour operator being flexibile, you’ll find you’re the one having to be flexible and make concessions in your travel dreams to keep costs down. More often than not, you’ll be pushed towards a private tour, where costs can easily be as high as $200-250 per day, excluding meals and accommodation. How to get around Ecuador easily, flexibly and safely? The Wanderbus is a safe, flexible and affordable alternative to both public buses and private tours. We offer routes all around the country under the hop-on, hop-off concept, so you can decide where to stay and for how long. The Wanderbus is safe and spacious, and includes a guide throughout the journey –a perk that public buses definitely don’t have. Plus, you an easily plan your trip in advance and we can guarantee that our schedules are consistent and reliable. The Wanderbus is safer than public transport and cheaper than tour operators! Choose the Wanderbus for the quickest, easiest, stress-free, hassle-free, and most cost-effective way to travel Ecuador. And that’s all. Hello Sacha Tinku Adventures, you can find more information about our routes and prices at our passes section. 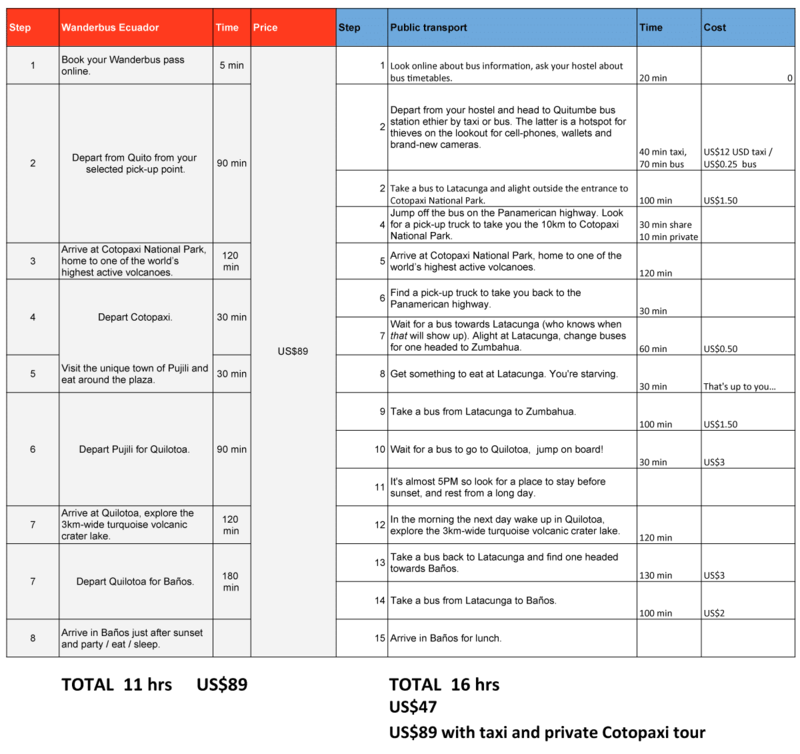 In addition to this you can read about our schedules and pick up points. El bus es sólo de ida? La vuelta es por cuenta propia si se tuvieraque volver a Quito? Hola Anna, todo depende del pase que selecciones. Nuestro Wander Pass hace el loop completo al Ecuador, puedes subir en Quito y regresar a la capital luego de haber recorrido con seguridad y flexibilidad todas las otras ciudades del país.